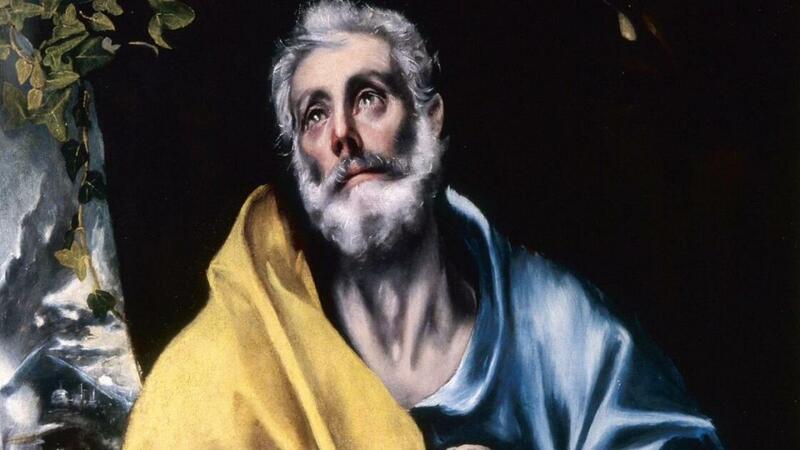 An epic depiction of a penitent St Peter illustrates El Greco’s ability to find create a human story out of a religious subject. “A rt is everywhere you look for it, hail the twinkling stars for they are God's careless splatters,” stated Doménikos Theotokópoulos – popularly known as El Greco (or “The Greek”). 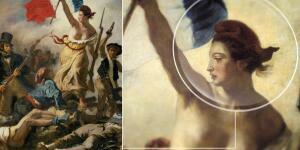 Spirituality and the creative act were indelibly linked. “I paint because the spirits whisper madly inside my head,” he wrote. His Christian faith was pivotal to his oeuvre. In particular, the torments of the penitent became a frequent theme, as illustrated by The Tears of St Peter, in which the titular saint is wracked with guilt over his crisis of faith. El Greco, Saint Peter in Tears, 1587–1596, El Greco Museum in Toledo, Spain. The 16th century master of religious iconography – the depiction of saints, the Annunciation and Christ on the Cross are recurrent subjects– has maintained his popularity over the centuries into today's more secular era. He was an anomaly in his own time. However, his influence can be seen in the work of 20th-century artists such as Franz Marc, Jackson Pollock and Pablo Picasso (who painted homages to particular paintings by El Greco). “His rejection of naturalism in favour of elongated figures, clarion colours, squashed spaces and articulated private feeling struck a chord with the avant-gardistes of Paris and Berlin,” observed Alistair Smart in The Telegraph, on the 400th anniversary of El Greco’s death in 2014. There continue to be popular exhibitions of his work. 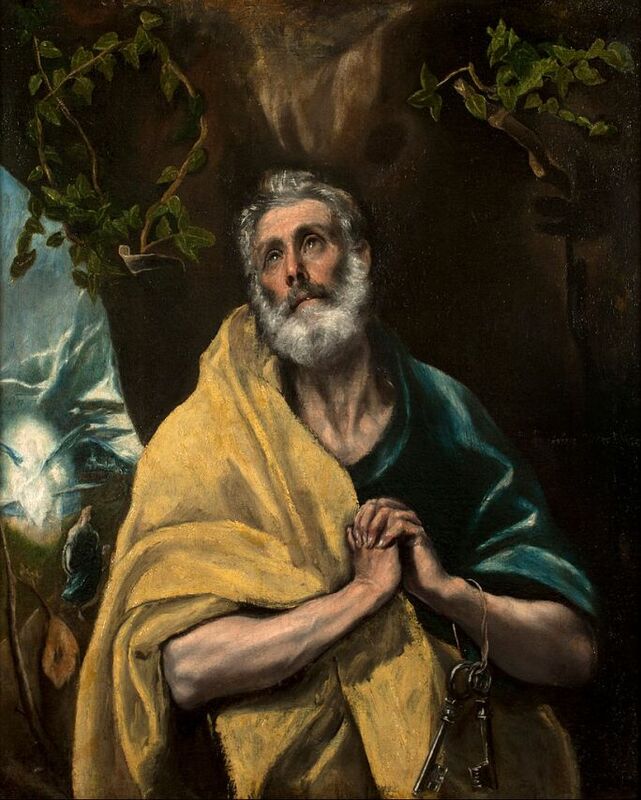 In 2017-18, El Greco to Goya: Spanish Masterpieces from The Bowes Museum at The Wallace Collection, London, included another version of El Greco’s The Tears of St Peter. “This is not the lofty Peter who sits at the right hand of God, jangling the keys to heaven, but a man who knows he has done something utterly, unspeakably terrible,” noted one critic. 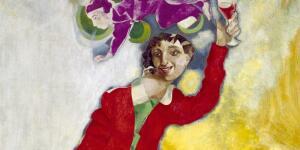 And a major retrospective is due to be staged at the Grand Palais, Paris, in 2019. Fully autographed works by El Greco are exceptionally rare, however. 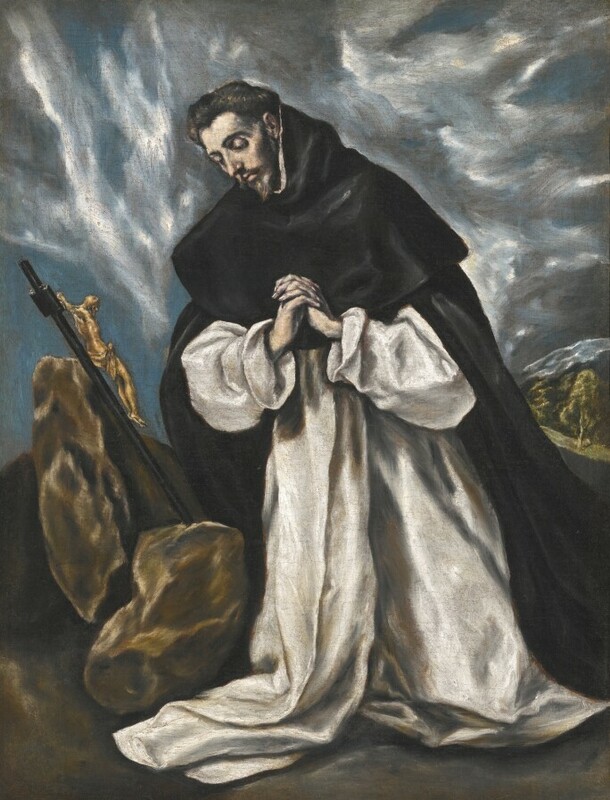 In 2013, Sotheby’s London sold Saint Dominic in prayer for a new world auction record of £9.15 million. The painting was one of the finest and most characteristic examples of El Greco’s art to be offered for sale for more than a decade, and among the finest of all his many depictions of saints. El Greco’s The Annunciation achieved £5.87 million, three times its estimate, at Sotheby’s New York in 2014. 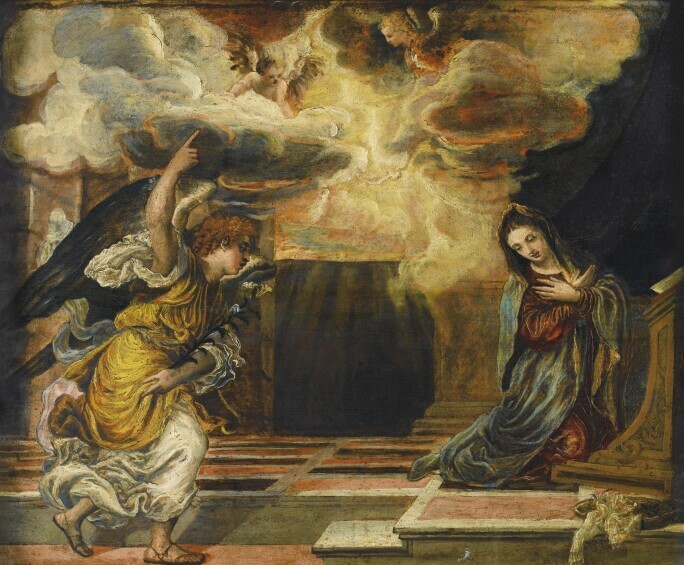 More recently, in 2015, The Annunciation – based on a lost work by Titian, it shows the younger artist’s debt to the master’s late style – achieved £5.87 million, three times its estimate. And a rediscovered Saint Joseph was offered at Sotheby’s New York salerooms. Dating to his first years in Toledo, the work presents the saint in a pensive attitude, his head listing to the left, resting on the fisted hand of his right arm. 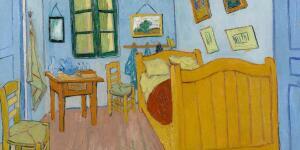 The painting sold for $2.74 million.